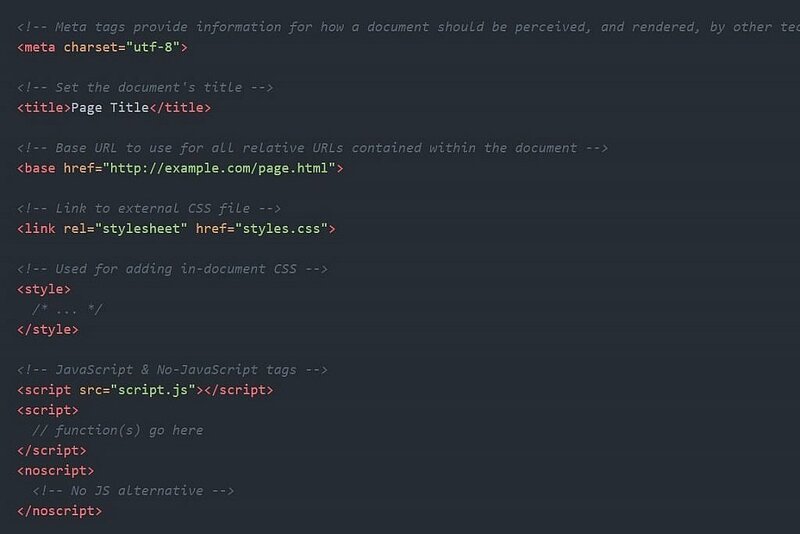 Web Designer 101: What Belongs Into the HTML Head? Tabular matter need no longer be a rather unpleasant job to design: on the contrary, it can become a really charming and artistic exercise, in no way less interesting than any other area. Wherever possible plan the readability of every table in advance. Your design process should be an investigation into making the data undemanding to read, simple to follow and easy to extract. Just as you wouldn’t design body text with the aim of fitting as many words as possible on the screen, so you shouldn’t treat designing a table as an exercise in cramming as much data as possible into one space. You might be tempted to reduce the text size of your table – and if the data is entirely numeric you might be able to get away with it. Your reader should still be able to be comfortably read and interpret the table from their normal position, without needing to lean in. Many designers will instinctively apply a width to their tables – just as they might an image – stretching them to fill the text column or page. And that is the appeal of setting tables full-width: you can make them look somewhat image-like when viewed from afar. However, while a table spread across the screen might look preferable from a distance, on closer inspection it will be harder to read as the data will be unnecessarily separated. To add insult to injury, tables set full-width are often replete with background colours and borders to give the table further the texture of an image, when what your reader really requires is the texture of text. For the sake of your readers, avoid these temptations. You might consider making all the columns an even width. This too does nothing for the readability of the contents. Some table cells will be too wide, leaving the data lost and detached from its neighbours. Other table cells will be too narrow, cramping the data uncomfortably. Table columns should be sized according to the data they contain. Columns of small numbers should be narrow, and columns of paragraphs should be relatively wide. This sounds like a lot of effort, and for a print designer it would be, as they would have to size each column manually in their layout software. Fortunately, web browsers are very clever when it comes to laying out tables and will do all that hard work for you. Browsers have been laying out tables automatically according to complex algorithms since long before CSS came along – just let them do their thing. The statistician and information designer Edward Tufte introduced the concept of data-ink in his 1983 classic, The Visual Display of Quantitative Information . He defines data-ink as ‘the non-erasable core of the graphic’, whereas non-data-ink is the ink used in the graphic, not to directly represent data but for scales, labels, fills and edges. Tufte goes on to define the data-ink ratio as the proportion of ink that is used to present actual data compared to the total amount of ink used in the entire graphic. The goal is to design a graphic with the highest possible data-ink ratio (tending towards 1.0) without eliminating what is necessary for effective communication. As a starting point, avoid any border or frame surrounding the table. This is a Victorian embellishment which is entirely unnecessary as text alignment will shape the table just fine. Try to achieve a readable table using just alignment, spacing and grouping. Avoid zebra striping, tints and fills, and any other backgrounds. These can be superficially pretty but are usually a distraction. They serve to distort the meaning of the data by highlighting every other row to the detriment of neighbouring rows. Only use tints as a subtle means of guiding your reader’s eyes, and then only if you cannot arrange the data to that end. If you choose to tint, do so only in the primary direction of reading: down if lists, across otherwise. Tables should not be set to look like nets with every number enclosed. Try to do without rules altogether. They should be used only when they are absolutely necessary. Vertical rules are needed only when the space between columns is so narrow that mistakes will occur in reading without rules. Tables without vertical rules look better. Thin rules are better than thick ones. Avoid using row or column borders unless the data alignment, spacing and grouping are not sufficient to guide your reader’s eye. If you do need to use rules for this purpose, use them in one direction only and employ a lighter colour to reduce the impact of the lines: you are making a distinction, not constructing a barricade. In the spirit of treating tables as artefacts to be read, don’t centre text within tables. Align table text as you would anywhere else; that is, aligned left. As text in tables tends to end up in narrow columns, don’t justify the text either – leave it ragged-right – or you will end up with rivers flowing down the tables, potentially causing confusion and certainly harming readability. You can hyphenate, however, particularly if the table columns would otherwise have a pronounced rag. Right-align numbers to help your reader make easier comparisons of magnitude when scanning down columns. To aid scanning in this manner you will need consistent precision of your numeric data; that is, use the same number of decimal places. Aligning to the decimal point was theoretically possible by using the HTML 4 char attribute on a <td> tag, but in reality it was never supported. The modern way to align numbers to a decimal point (or to any character, in fact) is through a new value of the text-align property, although at the time of writing this is languishing in the CSS Text Level 4 Module2 and support is patchy at best. By specifying different alignment characters you can lay out more complex tables in a useful way; in this example, aligning digits to ‘×’ and ‘:’. Many tables, such as financial statements or timetables, are made up mostly of numbers. Generally speaking, their purpose is to provide the reader with numeric data, presented in either columns or rows, and sometimes in a matrix of the two. Your reader may use the table by scanning down the columns, either searching for a data point or by making comparisons between numbers. Your reader may also make sense of the data by simply glancing at the column or row. It is far easier to compare numbers if the ones, tens and hundreds are all lined up vertically; that is, all the digits should occupy exactly the same width. Digits of the same width can inherently be found in monospaced fonts, and there is nothing wrong with choosing a suitable monospaced font to present a table of data (see ‘Combining typefaces’). However, many proportionally spaced fonts (those where a 1 is narrower than an 8, and a W is wider than an I) also come with additional sets of figures which are monospaced. These are called tabular numerals. As well as being of equal width, tabular numerals will be subtly designed differently from the standard proportional numerals. For example, a 1 will normally have a bar for its base, and a 0 (zero) may be designed slightly narrower to better fit the chosen number width. Tabular numerals are usually available in old-style and lining variations. Use tabular lining numerals to provide your reader with the most effective way to reference vertically and horizontally in tables of data. The equivalent properties for legacy browsers requiring font-feature-settings, use the lnum and tnum OpenType feature tags. If you need to specify proportional numerals, set the font-variant-numeric property with a value of proportional-nums. For legacy browsers requiring font-feature-settings, use the pnum OpenType feature tag. Having eliminated rules and fills (borders and backgrounds) from your table, you will need to apply white space to your table so your reader can make sense of it. It is at this point that you should remove from your mind’s eye all visions of spreadsheets and other such uniform grids, and think instead in terms of typography and simple gestalt grouping principles. In traditional HTML tables, adjacent cells each have their own distinct borders which are separated from each other, with the separation still present even if the borders are not. In the collapsed border model, adjacent table cells share borders. As we are removing (almost) all cell borders, and any we retain will be single key lines, the collapsed border model is the most appropriate. Now apply padding to the table cells to separate the data. You’ll find that adding a smaller amount of padding to the top of the cell is a useful way to provide a visually balanced separation from the rows above and below. To ensure everything lines up nicely, apply the same padding to heading cells as to data cells. Because line lengths are often very short in tables, you can reduce the line height right down. In the following example, we’ve removed all additional line spacing, but you may need more depending on your choice of font and the amount of text in the table cells. The gestalt grouping principles most useful in tables are those of proximity and similarity. Move related data closer together to be distinct from other data; in other words, space apart groups of rows or columns. A by-product of grouping rows is that the data becomes much easier to scan and refer to than if the table consisted of a succession of undifferentiated rows. Ensure data of a similar content or meaning look similar at a glance, which you can do through alignment, colour and font style. You can position the caption either above or below the table using the caption-side property and a corresponding value of either top or bottom. Note that, in this example, the numbers do not align to the decimal point. This is because the purpose of the table is for the reader to easily identify and extract a multiplication factor. In this instance there is no obvious use case for comparing the relative magnitudes of the factors, which is when decimal alignment would be useful. The French writer-aviator Antoine de Saint-Exupéry wrote3 perfection is attained not when there is nothing more to add, but when there is no longer anything to take away. Quoting de Saint-Exupéry may have become a cliché, but his idiom is entirely apt when applied to table design. There is no need to make a table look like a spreadsheet. A spreadsheet is a tool unto itself; a table is for presenting data and information that can be read. Spreadsheet software offers a multitude of options for table styles, which add text formatting, borders, background fills and all manner of ornament. They may make pretty pictures but do nothing for table readability, so do not try to emulate them. Tables can be beautiful but they are not works of art. Instead of painting and decorating them, design tables for your reader. A typical spreadsheet-styled table set full-width with borders, fills and centred alignment. 1. Remove stretch and size columns to data. 2. Remove fills, gridlines, border and bolding. 3. Left-align text, right-align numbers and align headings with data. 4. Put white space to work to group and separate. 5. Use tabular lining numerals, consistent precision, and remove repetition. Tables regularly require a fair bit of horizontal space to display the information they contain. Even when judiciously designed and edited, a typical table may need to be wider than the 45–75 characters we normally allow for paragraphs of text. For small screens, such as phones, designing readable tables which work under such cramped conditions presents us with a serious challenge. The best approaches always deal with each table on case-by-case basis, but that’s not always possible if we need to generically style whatever comes out of a CMS database. One immediate approach is to use either a condensed font or a slightly smaller size (but not both smaller and condensed). In both cases, readability must remain paramount and other options should also be explored. One way to save horizontal space, particularly when you have short pieces of data but long headings, is to set the headings at an oblique angle. Using oblique headings to save space. You can use a simple CSS translation to achieve the effect. You will also need to absolutely position the headings so the original width of the columns isn’t retained and they shrink to wrap the data instead. The simplest solution to help tables of any size and complexity is to let the browser lay out the table as best it can and render part of the table off-screen as necessary. Provided you then enable your reader to scroll the table sideways independently of the rest of the text, the table can be relatively easily brought into view. Using a crawl bar to scroll a table into view. It is important not to set a width on your table; the browser can then compress the table as far as it can before overflowing off the screen. To preserve readability, make good use of non-breaking spaces and white-space:nowrap to limit the amount the data wraps in the cells. It’s better to have a readable table that requires scrolling than an unreadable one which doesn’t. The two renderings of our employee directory table use exactly the same markup, comprising the conventional HTML elements you would expect in any table. The one addition is a data-title attribute on each cell enabling us to repeat the label in the list view, should we need to. Identify the viewport width at which the table starts to render poorly. Apply display:block to all table-related elements so they align vertically instead of as a table. Hide the header row and any empty cells. Display labels for each data item (optional). This technique was first popularised by Aaron Gustafson4. A data-rich table as rendered on a large screen. The same table with hidden columns and options to toggle. Tables are a frequently overlooked aspect of reading, sometimes overstyled, sometimes poorly thought out. Responsiveness is a particularly thorny issue as the best solutions depend very much on the utility of the table. Tables can be packed with data, rich in content and meaning. Give them the attention they deserve. This excerpt from Web Typography will help you get started. Order the full copy today. 1. Asymmetric Typography by Jan Tschichold (1967, after 1935 original). 2. Character-based Alignment in a Table Column (http://wbtyp.net/103) in the CSS Text Module Level 4. 3. Terre des Hommes (translated into English as Wind, Sand and Stars ) by Antoine de Saint-Exupéry (1939). 4. ‘Responsive Tables’ (http://wbtyp.net/16) by Aaron Gustafson on Easy Designs blog (2013). 5. See CSS-Tricks’ ‘Responsive Tables’ (http://wbtyp.net/148) for the latest options. 6. Filament Group’s ‘Tablesaw’ (http://wbtyp.net/15) responsive table plug-ins. Ask Yoast: Still minify and concatenate CSS and JS files? The post Ask Yoast: Still minify and concatenate CSS and JS files? appeared first on Yoast.